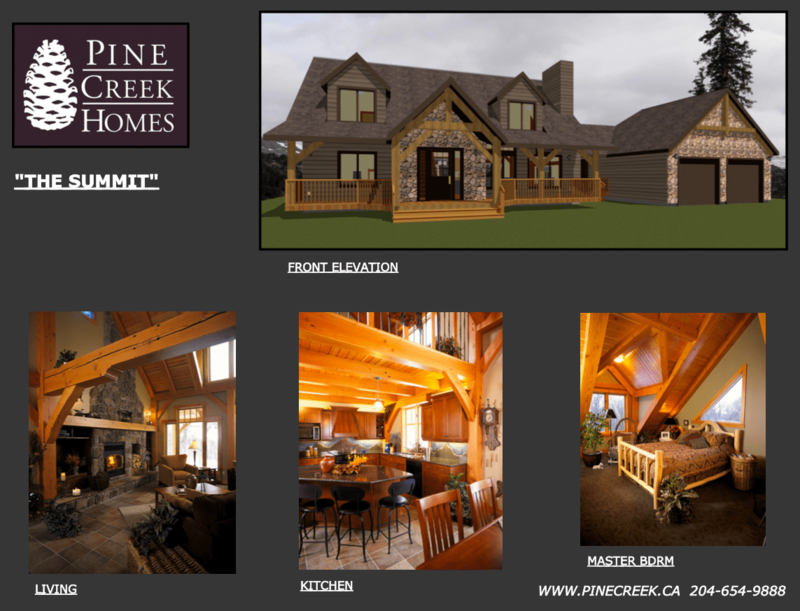 This 2,070 square foot timber frame is by far one of our most popular designs. 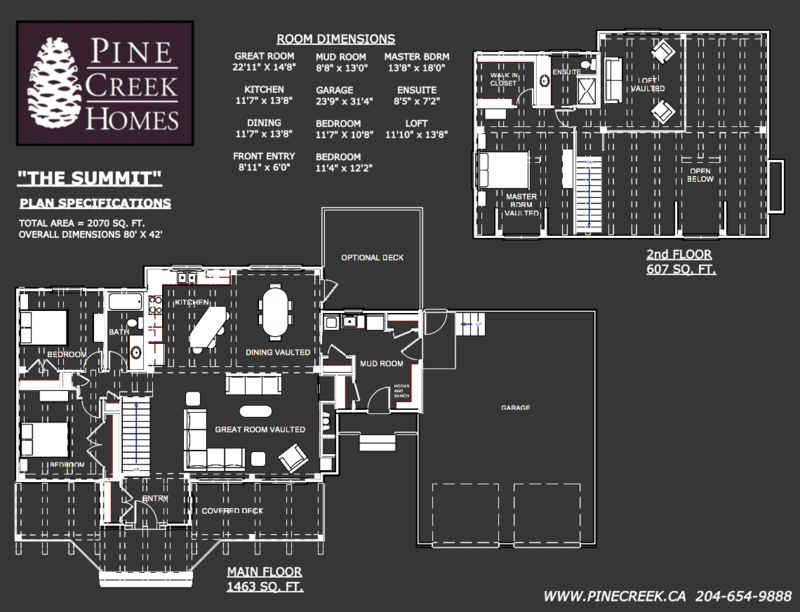 It’s a three bedroom, two bath timber frame that’s been featured in Style Magazine and has been the starting point for several other designs – both the Cariboo and Chestnut are little brothers of this plan and the Cambridge is its’ big brother. The look of this design is right in line with rustic timber frame living. A large timber frame covered entry and porch tie the outside to the inside. Once inside, the large open beams and the 24 foot vaulted ceilings immediately catch your eye. The great room dormer and large windows allow plenty of natural light to highlight the wood beams. The kitchen in this design is very functional, with plenty of counter space and a unique shaped island that maximizes the space, as well as, providing great flow into the great room. This large eat-in island is perfect, not only for food prep, but also serving and entertaining. The adjacent dining room has a large window facing the back yard that really allows you to take in the surrounding views. In this particular design, the timber frame carries right through to each one of the bedrooms. This allows you to enjoy the wood work wherever you are in the home. The master suite is on the second floor and has a dormer built into the design to add a nice feel to the room and of course, providing additional natural light and a view. The master suite walks out on to a timber loft above the kitchen. The loft can be a great space to relax and read or even to set-up an unenclosed office space where you can enjoy the open concept of the great room (and get work done at the same time!). The attached garage is an oversize double, and has the additional space in the depth, rather than width. This allows you about 8-10 extra feet of storage at the back of the garage for lawn mowers, snow blowers and everything else we fill our garages with. Walking in from the garage leads to a large mudroom with plenty of closet space for boots and coats. There is also a main floor laundry option in this mudroom area, as well as a pocket door that can be closed, to separate the mudroom from the great room.